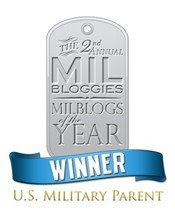 At the first Milblog Conference a few years ago, it was suggested that a website for the parents of military members be started... it was also a topic at last year's Milblog Conference and the BlogWorld Expo. Well, it's finally getting off the ground! The site is called PARENTS ZONE. 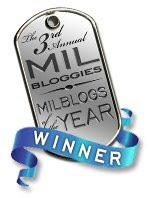 I have agreed to be a contributor... along with a number of other MilParents. So stop on by and say hello... pass the info on to your friends, and check in often! I have my "inaugural" post up... So Your Child is Being Deployed. We're also interested in suggestions from other parents: what would you like to know? What would you like researched? What information do you need? What do readers want the page to be?? Send your suggestions -- or if you're interested in writing for Parents Zone -- to Liberal Army Wife at parentszone@gmail.com. Carla, I checked it out and think it will be a valuable asset to us as parents. Thanks for your input. Hope all is well with your family.